Support Gives Strength * Zakia Rasool Siddiqui, president of Innerwheel Club of Lahore Garrison, welcomes all visitors to the Club Web site. Innerwheel Clubs throughout the world comprises the womenfolk of Rotarians and is now the second largest women’s organization in the world with over 103,700 members and 3,772 clubs in 94 countries. Innerwheel concentrates upon friendship and personal service. One of the greatest features of Innerwheel is the opportunity given to members the world over to get to know one another thus contributing to International Friendship and Understanding. To be a member of Innerwheel is a privilege that can usually only be enjoyed by the wife, widow or member of a Rotarian's household. Like Rotary, the Innerwheel is divided into local clubs and Districts after being first proposed by Mrs. Golding in January 1928. The emblem quickly followed which is the Rotary wheel with another smaller wheel within. 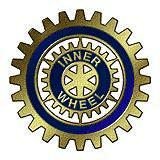 In 1934, the Association of Innerwheel Clubs in Great Britain and Ireland was formed with 79 founder clubs. There are about 450 Innerwheel members in 26 clubs in District 327, Pakistan.